This article provides an overview of scientific publications that reference the ChromoTek GST-Trap superior binding performance for various applications. These include immunoprecipitation (IP), Co-IP of Glutathione S-Transferase (GST)-fusion proteins, and Luminex bead assays of GST-tagged and GFP-tagged proteins. 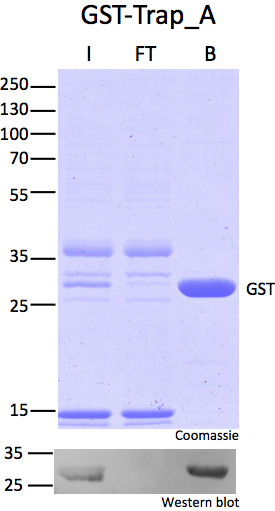 Besides, usages for depletion of GST (glutathione sepharose) after cleavage from recombinant fusion proteins and affinity purification of GST-tagged proteins are possible.